You’ve heard it said that you are what you eat. If that is true, it is more true that you are what you say. Your words reveal your heart. The things you say, and how you say them expose and unveil the condition and attitudes of your heart. I doubt most people realize this. If they did, they would be more careful about what they said and how they said it. Most people think actions reveal the heart. There is even a saying we have all heard: “Actions speak louder than words.” I am not necessarily disagreeing with that, but the Bible says that words speak loud enough by themselves. It is out of the overflow of the heart that the mouth speaks. It is the tongue that sets the body on fire. It is not what goes into a man that makes him unclean, but what comes out of him. Do you want to judge your own character and condition of your heart? Don’t look at your behavior. We are experts at seeing only the good actions in our lives, and overlooking or excusing the bad. If you want to judge your own character, listen to what you say. This is the next lesson of Christ’s sermon in Luke 6. Christ teaches us that living as His disciple is all about our attitude. Our attitude toward circumstances should be to trust God (Luke 6:20-26). Our attitude toward others should be love (Luke 6:27-38). Our attitude toward ourselves should be honesty (Luke 6:39-45). Becoming honest with ourselves begins with looking to the sin in our own lives before we point the finger at somebody else. You cannot help somebody else with their sin if you are blind to your own. It is only when you remove the plank from your own eye, that you become able to help others remove the speck from theirs. Jesus has taught all of this so far in Luke 6. But He knows that most of us have a big problem seeing the planks in our own eyes. We are blind to the sin in our lives so obvious to everyone else. So in Luke 6:43-45, Jesus provides a way to help each of us see our own sin. This is not a way for you to notice sin in others, but a way for you to see sin in your own life. Do you want to see the planks in your own eye? Do you want to discover what sin your are hiding in your heart? Don’t look at your actions. Don’t look at your behavior. We are always able to justify our actions and give excuses for our behavior. If you really want an honest glimpse into your own heart, you must listen to your words. Jesus begins to talk about this in Luke 6:43-44 where he tells us that all trees bear fruit. Luke 6:43. 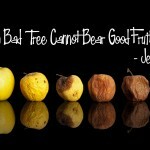 For a good tree does not bear bad fruit, nor does a bad tree bear good fruit. Christ’s statement is fairly obvious. It doesn’t require much explanation. All of us who have ever done much gardening or fruit picking know that sick and weak trees produce a meager crop, and the fruit such a tree does produce is often paltry and tasteless; maybe even bitter. And I thought that was all there was to know about getting fruit from trees. But I decided to do a little internet search this week on how to get fruit from trees. I soon learned how little I know. What I found provides great insight into Christ’s words. Bite into one of Fitz Kelly’s Lady in Red peaches and the flavor is enough to make you gasp. The first impression is of powerful syrupy sweetness. Then comes a tart tang that gives the sugar some backbone. Overriding everything is a mix of complex flavors, both floral and fruity, so mouth-filling they seem almost meaty. The fruit is so ripe the juices drip down your chin; so ripe a peach practically peels itself. To get fruit like that is not accident of nature. It takes a gifted farmer, a lot of hard work and a refusal to compromise. Their fruit is so fantastic. Each piece is treated with such reverence. They’re like little gems. When you see the love that goes into everything, you can taste it. When I read that, it reminded me of some Godly Christians I know. Every word that proceeds out of their mouth is like a choice piece of fruit. Each word is a gem. Each word is chosen carefully. Each word is spoken with love. Their speech is so seasoned with grace and truth, with love and respect that sometimes it seems as if Jesus Christ Himself is speaking through that person. So how do you develop this kind of fruit in your life? How do you cultivate your heart so that only sweet and choice words proceed from your lips? Again, there are lessons from orchards. Surprising lessons. The fruit experts say that you don’t necessarily get better fruit from bigger or more beautiful trees. Lots of trees may be beautiful to look at, but they don’t necessarily produce the best fruit. Orchard experts say that when you see a tree full of lush foliage, it probably indicates that lots of nitrogen is being used to cultivate that tree. Lots of nitrogen, thought great for foliage, produces sour fruit. So the orchard experts purposefully plant certain weeds around trees and let them grow as much as they want. Why? To get rid of the nitrogen, and if they use the correct weeds, those weeds leave behind a special blend of nutrients that is perfect for fruit growing. Also, when it comes to insecticides, fruit experts have found that other insects are better. Bad bugs are eaten by good bugs. Fertilizers are rarely used, because they cause too much growth too quickly, and therefore produce weak trees and fruit with no flavor. When fertilizers are used, they are used only in minute quantities. Watering the tree is an art form, following a carefully worked out, highly regimented routine. Trees even need winter. Not freezing cold, but certain trees need between 600 and 900 hours of temperatures below 45 degrees in order to produce the best fruit. And frequently, you will see orchard experts out there early in the growing season, cutting away most of the brand new, just formed fruit. It may seem silly to throw away over half your crop, but they know that it is better to get 50 peaches bursting with juice and flavor than 500 small and sour peaches. Here is what all of this means for you and for me. Just as a full and lush tree does not necessarily produce the best fruit, so also a person who looks flowery and behaves like they are spiritually rich, may in fact be the worst trees to gather fruit from. In Revelation 3:17, Christ warns certain Christians who are rich and wealthy that though they appear to have it all together, they really are poor and destitute. It is not how you appear, or how you act, or how you dress that matters. What matters is your heart. And this is revealed by the fruit you produce. And you know those weeds and bugs in your life? That test of your patience? That lack of money? That sickness? That stressful situation at work? The difficult neighbor? God, the orchard expert, put those there for a reason. They strengthen you. They keep the bad bugs of sin out of you core. They use up the bad nutrients in the ground where you are planted, and leave better ones behind, like love and patience and joy and longsuffering. Those times of dryness and times of barren winter are also for your benefit. When it seems like you could use a good spiritual fertilizer or a good watering, God knows what you need to produce the best fruit. He sends people to water your life, and He calls you to a regimented schedule of daily watering through His Word so that you can produce the best fruit. And then there’s the pruning. God only wants the best fruit to proceed from you, and sacrificing some of the early fruit will encourage the remainder to grow big and sweet. 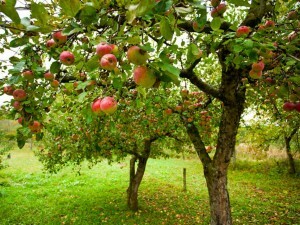 Most take 5-7 years before they begin producing a good crop of fruit. And that’s only if they’ve been well tended. This is why it is always good advice for new and young Christians to grow where they are planted. To speak little, and learn much. To get daily watering through the Word. To prune their words so that only the best will come forth. God is in the fruit producing business and you and I are his trees. He wants good fruit so He goes to great length to make good trees. He factors in the age, the soil type, the sun exposure, the temperature. He waters, prunes, and fertilizes as needed. 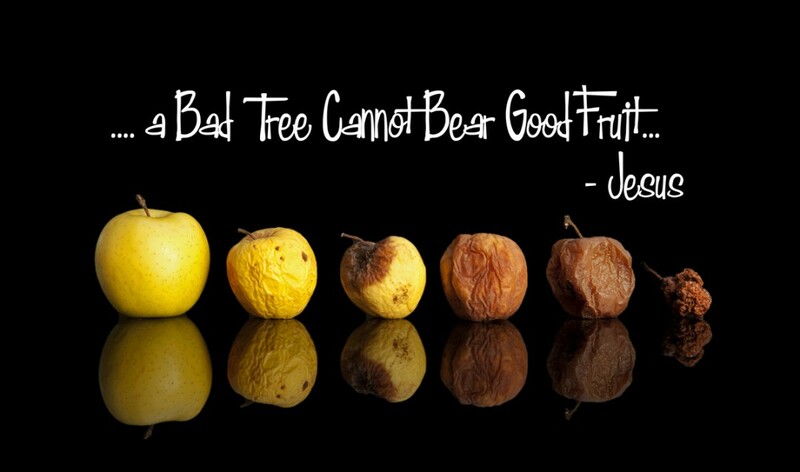 When Christians become good trees, they naturally begin to produce good fruit. This is the truth of Luke 6:43. Luke 6:44 contains another truth about fruit production. Luke 6:44. For every tree is known by its own fruit. For men do not gather figs from thorns, nor do they gather grapes from a bramble bush. Christ talks about figs and grapes which were two of the more common fruits of Israel. In Luke 6:43, I used the illustration of peach trees. But grapevines and fig trees have their own special needs and growing secrets. In my study on John 15, I talked about how to get grapes from grapevines, so I won’t repeat that here. But I do want to talk about the three other types of plants mentioned in Luke 6:44. Fig trees, if they are well tended and taken care of, can produce fruit for over 100 years. So also, you, if you make sure good words and edifying words proceed from your mouth, may be producing fruit for hundreds of years to come – even after you are dead and in heaven. There are many similarities between peach trees and fig trees but one of the main differences is the way the fruit is formed on the tree. On a fig tree, the fruit appears before anything else. It appears on the tree even before the leaves or flowers do. The fig trees never actually have any visible blossoms. 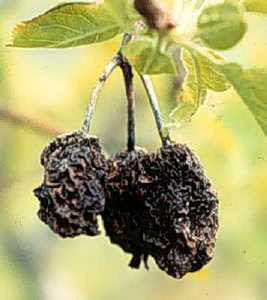 This is because the blossoms are inverted and actually grow and develop inside the fruit. It is pollinated by a tiny wasp known as a Blastophaga. This stingerless insect no bigger than a gnat enters through a little opening at the bottom of the fig and so pollinates it from the inside. This is just how we as disciples of Christ produce fruit also. The flowers form on our inside – often where no one can see them – and are pollinated by the invisible and silent Holy Spirit. The fruit results of inward change that is unseen by any human eye. This is why we cannot judge people by outward appearances or behaviors. We do not know what is going on in the hearts of others people. The thorns provide insight into Christ’s words also. These thorns are all over Israel, especially in the Jordan valley. It’s branches grow in weird shapes, but are very tough and flexible. Surprisingly, thorns look very pretty. They have bright, green, oval leaves. But don’t get too close. The thorns which cover the branches have sharp, pointed tips and serrated edges. Because of their toughness, flexibility and painful thorns, this plant makes wonderful fences in the Middle East. It is just as effective as barb wire at keeping the animals in a certain area and out of others. Jesus hints that some people are like these thorns. They may grow in weird ways – not physical ways, but maybe they head off on odd, theological tangents. But don’t try to correct them, for they are tough and flexible, and those who get too close, get pricked. Nothing hurts them, but they hurt plenty of people with their sharp words. And just like a fence, they often keep people away from Christianity rather than lovingly draw them in. The final plant that Christ mentions in verse 44 is the bramble. The bramble bush throws long and strong arching stems across huge tracts of land – often impeding the traveler. Plumb colored branches covered in soft, gray down are filled with rich, green leaves with white felt underneath. When it blossoms, the bramble brings forth rosy flowers that develop red, ripe fruit very similar to our blackberry. Doesn’t sound too bad, right? But if you’re going to pick that fruit, be careful. Along with the fruit and the felt covered leaves, are long prickles and thorns. The leaves have serrated edges cut into fine teeth. So the bramble is again like lots of Christians. They have good fruit, but it takes a skillful hand to get any of it. And for the most part, human brambles just impede the traveler and get in the way of the pilgrim more than anything else. Christ’s point in verse 44 is that the type of plant you are determines the type of fruit you produce. Figs grow on fig trees, and grapes grow on grapevines, but neither can be picked from thorns or bramble bushes. Those only produce thistles and briars. The fruit they do produce is hardly worth the effort. Thorns and brambles, thistles and briars, do produce fruit, but not a fruit that anybody would want to eat. It is undesirable, even painful and irritating fruit. Do you know anybody like that? Like porcupines, they have a lot of really good points, but you don’t want to get near them. Eventually, you get jabbed. But remember, this passage was not given so that we could judge others. Christ taught it to help us judge ourselves first. So maybe you’re the thorn bush. That’s something you should consider. Do people always seem to get into arguments with you? Do people seem to avoid you and say as little as possible when you are around? Maybe it’s because of all of your good points. You don’t always have to speak your mind. You don’t always have to interject your opinion. You don’t always have to speak bluntly. Have you noticed how people who say, “Let me speak bluntly” never speak bluntly? Frequently, their words are quite sharp. So watch your words. Don’t be sharp or blunt. Don’t’ be a thorn or a thistle. We’d all rather have a grape than a thorn. We all prefer figs to thistles. The words that come out of your mouth reveal what kind of tree you are. This is what Jesus reveals in the first part of Luke 6:45. All people bear fruit, and the fruit they bear reveals their heart. Luke 6:45. A good man out of the good treasure of his heart brings forth good; and an evil man out of the evil treasure of his heart brings forth evil. 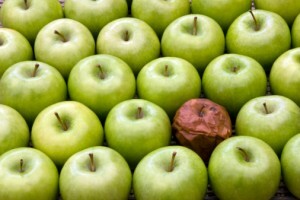 Jesus teaches that everybody produces some kind of fruit. Good fruit comes from those with good hearts, and evil is produced from those with evil in their hearts. This seems to be a simple concept, but most people rip this verse out of context and apply it to the wrong people in the wrong situations. Luke 6:45 is probably not quoted out of context as much as the parallel passage in Matthew 7:16. There we read that you will know them by their fruits. How often have you heard it said that you can tell who the true Christians are by the fruit they produce? “You will know them by their fruit” we are reminded. One well known pastor and author uses this verse 27 times in his book on salvation to show that true Christians produce good works in their life. In one place, he writes, “Fruit bearing is the whole point of agriculture. 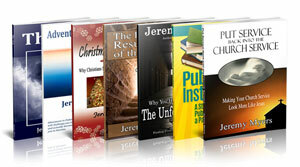 It is also the ultimate test of salvation.” This pastor should know better. He has ripped that passage in Matthew 7:16 completely out of context in order to support his unbiblical theology of salvation. When we study Matthew 7:16 in context, we see that Jesus is not talking about a person’s works, but about their words. He is talking about how to tell true teachers from false teachers, not true Christians from false Christians. Matthew 7 clearly brings that out. Matthew 12:33-35 does as well. Luke 5:43-45 is one of the clearest passages which reveals that the fruit of our lives is the fruit of our lips. The last part of verse 45 could not be more clear. Luke 6:45b. For out of the abundance of the heart his mouth speaks. What is the fruit? It is our words, not our works. And it is our words Christ wants us to listen to mainly. Don’t be a fruit inspector. Don’t go around with your little check list of Christians works which you think are necessary for people to have in order to be a Christian. Works rarely reveal the heart. Words do. A person can be the nicest person in the world, and volunteer for community service, and give away all their money, and faithfully attend church for their whole lives. And how do you know they do all of this? Because they love to tell you about it. If you looked at their actions only, you would have to say that they have a pure heart. But when you listen to their words, it reveals a proud heart. But again, this is not the point of Luke 6:43-45. Jesus is not giving us a standard by which we can judge others. To rightly apply what Jesus is saying, we must remember the context of His words. He is no longer is the section about our attitude toward others, but He is talking about our attitude toward ourselves. He is talking about taking the plank out of our own eyes first. Jesus is saying that my words reveal my heart. Your words reveal your heart. Not so much to others, but to you. Before you start making judgments about other people’s hearts based on their words, listen to your own words first. Just as a southern drawn reveals that a person is from Georgia or Louisiana, or a German accent tells you that person is German, so also your words reveal what is in your heart. Have you ever listened to what comes out of your mouth? The words when you pray. The words when you talk. The words you speak on the phone. Just listen to yourself sometime. When you talk to others, do you always try to turn the conversation back to yourself? Someone tells a story about their trip to Maine, and that reminds you of a story about your trip to Minnesota that you just have to tell. A person with a proud heart always tries to turn the conversation back to themselves. Listen to what you say, and you may find yourself doing this. When you are about to turn the conversation to a story about yourself, stop and ask yourself, “Do I really need to tell this story? Do I really need to make this statement? Why don’t I, instead of sharing my story, ask the other person to share more about theirs?” That shows an interest in them, rather than a proud interest in only yourself. When you talk to others, does your conversation turn to talking negatively about other people, about rulers and those in authority? That reveals a heart filled with gossip and slander – maybe even hate. When you talk to others, do you complain and bemoan all your problems and struggles? Do you talk only of the things you don’t have and the things you wish you could buy? Do you talk about how others have nicer houses, and newer cars, and brand name clothes? Such words reveal a heart that lacks contentment. When you talk to others, do you only talk about earthly things such as your job, your recreational activities, and the local news without ever turning to spiritual matters? These words reveal a heart fixed only on earthly things. When you talk to others, do you talk down to them and make biting remarks to them? Sometimes, this is not so much the words themselves, but in the tone of those words. Such belittling words reveal a heart full of anger and resentment. When you talk to others, does foul language, lewd comments and off-color jokes ever escape your lips? That reveals a heart full of impurity and lust. When you talk to others, is it only about the next toy you want to buy, and the next vacation you want to go on? That reveals a heart full of greed. Listen to your topics of conversation during the day. Do your words ever turn to speaking about God or the Bible or spiritual matters? Or do you only stick to the weather, sports and current events? You don’t need to talk about God and the Bible all the time, but if God and the Word of God never enter your speech, it is certain they do not hold a prominent place in your heart either. Always our speech betrays us. Listen to yourself pray sometime. What do you pray for? Who do you pray for? How do you pray? When was the last time you focused instead on magnifying God, and praising His name, and thanking Him for all that He has done? When was the last time you didn’t even mention yourself in your prayers? Try it sometimes, just as an exercise. Rather than praying, “I love you, Jesus,” pray, “Jesus, you are so wonderful.” It’s a slight shift, but it takes the focus off of your love for Him to His love for the world. Rather than praying for your sicknesses, and your worries, and your struggles, pray entirely for someone else. I am not saying it is wrong to pray for yourself. Jesus prayed for Himself as did all the great men and women of Scripture. But if you try sometime to not pray at all for yourself, you will see how much you normally do pray for yourself, and like Jonah, how self centered your prayers really are. Our words reveal our hearts. Thomas Fuller said, “When the heart is afire, some sparks will fly out of the mouth.” I am not saying that your words reveal whether you are going to heaven or not. Believing in Jesus Christ is the only thing that gives us eternal life. We get to heaven by grace alone through faith alone in Christ alone. William Penn, the colonial American puritan writer and leader, whom Pennsylvania is named after, wrote down some Rules of Conversation which make an appropriate conclusion. It’s written in the Puritan style, but I think the point is made quite well. Avoid company that is not profitable or necessary, and in those occasions, speak little, and last. If thou thinkest twice before thou speakest once, thou wilt speak twice the better for it. Better to say nothing than not to the purpose. To speak pertinently, consider both what is fit, and when it is fit, to speak. In all debates, let truth be thy aim, not victory or an unjust interest; and endeavor to gain, rather than to expose, thy antagonist. Do you want to get a glimpse of your heart? Listen to the words that proceed from your mouth. I think there is a combination of what we say & do that shows our fruit. Not appearance, but both. And young christians need to let their unwholesome talk come out, or they will never know their own hearts. Meaning, if too much emphasis is put on “watch what you say” they can bury their true selves & end up being all appearance. I was very good at that! Very thought provoking article as usual. Your actions DO at times speak louder than words and Jesus reminds us of this in scripture as well…. we can say all day long we “love people, we love Christ, we care about others” but if we don’t do anything about it are words are USELESS. I really liked this message, but I don’t agree that our words are what solely reflect whats in our heart. It’s easier to say something than it is to DO something! I have learned quite a lot and if i combine with my actions, i gonna be a better christian. Thank you for doing the research and especially on the kinds of trees/christians, really applicable. Thank you! Feel free to teach it to others also! Exactly! What a good and refreshing article this is but….ouch! We are so weak,are we not? May our Lord Jesus Christ help us ‘want’ to see our weaknesses and sin turn from our self righteous pride,humble ourselves and be used to further the kingdom of Christ,for Hir glory and honor. Our Creator does want to use us but only after we have realized our brokenness and ‘need’ to depend on Him. God,then,can do great things through us. May He help us be ‘strong’ to do His will properly,according to His perfect will and purposes.